The Australian Cockroach is a large reddish brown cockroach with yellow margin round the thorax and yellow edges to front part of fore wings. The antennae are long and the legs are spiky. They are pest in households. 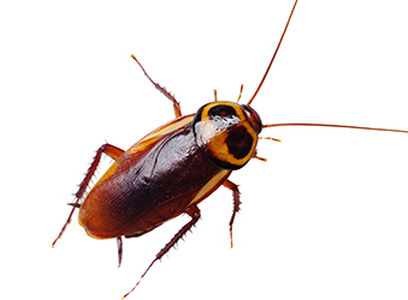 This is a common pest in homes and can transmit disease by contaminating food. The name is misleading as they are an introduced species from Asia.